Antipope Constantine II was an antipope for over a year, from 28 June 767 to 6 August 768. 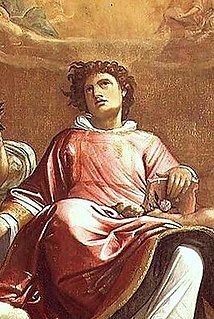 He was overthrown through the intervention of the Lombards and tortured before he was condemned and expelled from the Church during the Lateran Council of 769. 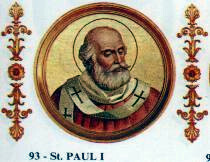 The death of Pope Paul I, on 28 June 767,  led to the uncanonical election of two antipopes. Constantine II was a layman who was elevated to the Papal See by his brother Toto of Nepi and a group of Tuscan nobles. He was opposed by another antipope, Philip, who was installed by an envoy of the King of the Lombards, Desiderius, and reigned just for one day, 31 July 768. With the election of Pope Stephen III on 1 August 768,  and the forcible removal of the antipopes, Stephen III had sent a request to Pepin the Short, asking for bishops well versed in the Scriptures and in canon law to assist at a synod which would seek to prevent any repeat of the events that led to the elevation of the antipopes. By the time the envoys reached Francia, Pepin was dead. 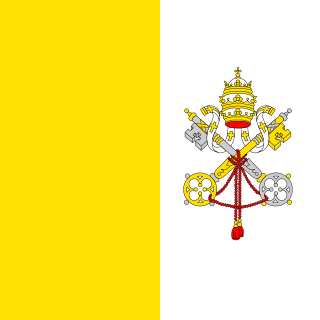 However, they appealed to his sons Charlemagne and Carloman, who agreed to send 12 bishops to Rome. Rome was at the time part of the Byzantine Empire. Constantine was brought before the synod, and was asked how he justified his own accession as a layman to the Apostolic See. Constantine replied that he had been forced to take on the role, as the Roman people had been looking for someone to fix the problems left behind by Pope Paul I. He then confessed to the charges, and threw himself on the mercy of the synod. On the following day however, he retracted his confession, arguing that his actions had not been any different from other papal elections in the past. He pointed to two episcopal elections, those of Sergius, Archbishop of Ravenna, and Stephanus, Bishop of Naples, where the successful candidates had been laymen. Infuriated by his arguments and the facts that supported them, the Synod ordered Constantine to be beaten, his tongue torn out, and be excommunicated from the Church. Constantine's acts and rulings were then publicly burnt before the entire synod, as Pope Stephen III, the bishops, alongside the Roman laity present, all prostrated themselves, singing the Kyrie eleison, and declaring that they had sinned in receiving Holy Communion from the hands of Constantine. They did not repent their savage behavior toward him. 1 2 3 4 5 Noble (2009) , p. 146. ↑ Cenni (1735) , p. 6. ↑ Mann (1903) , p. 362. ↑ Mann (1903) , p. 367; Duchesne (1886) , p. 470. ↑ Duchesne (1886) , p. 472; Jaffé (1885) , p. 285. ↑ Noble (2009) , p. 145. ↑ Mann (1903) , p. 372. ↑ Mann (1903) , pp. 372–373. ↑ Hefele (1896) , p. 333. ↑ Landon (1909) , p. 98. 1 2 3 4 Mann (1903) , p. 373. ↑ McKitterick (2008) , p. 300. ↑ Hefele (1896) , p. 336. ↑ Duchesne (1886) , p. 475, l. 23. ↑ Mann (1903) , p. 373–374. The scholar of Canon Law, Stephan Kuttner, points out (p. 149) that this statement of candidacy applied to deacons and priests of the Church of Rome, not priests and deacons generally. This is also the first occasion on which the term cardinal priest is used. 1 2 3 4 5 Mann (1903) , p. 374. ↑ Hefele (1896) , p. 337. 1 2 3 4 5 6 7 Mann (1903) , p. 375. 1 2 3 Noble (2009) , p. 147. ↑ Hefele (1896) , p. 334. ↑ Hefele (1896) , pp. 334–336. ↑ McKitterick (2008) , p. 302. ↑ Hefele (1896) , p. 335. ↑ His name is given as Radoinus in the Liber Pontificalis: Duchesne (1886) , p. 474, l. 11. ↑ His name is given as Stephanus in the Liber Pontificalis: Duchesne (1886) , p. 474, l. 25. ↑ His name is given as Leoninus in the Liber Pontificalis: Duchesne (1886) , p. 474, l. 29. Pope Miltiades, also known as Melchiades the African, was Pope of the Catholic Church from 311 to his death in 314. It was during his pontificate that Emperor Constantine I issued the Edict of Milan (313), giving Christianity legal status within the Roman Empire. 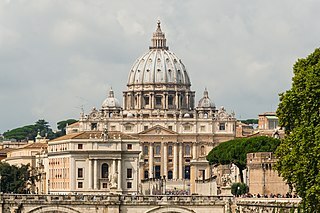 The Pope also received the palace of Empress Fausta where the Lateran Palace, the papal seat and residence of the papal administration, would be built. At the Lateran Council, during the schism with the Church of Carthage, Miltiades condemned the rebaptism of apostatised bishops and priests, a teaching of Donatus Magnus. Pope Zachary reigned from 3 December or 5 December 741 to his death in 752. A Greek from Santa Severina, Calabria, he was the last pope of the Byzantine Papacy. Most probably he was a deacon of the Roman Church and as such signed the decrees of the Roman council of 732, and succeeded Gregory III on 5 December 741. Pope Innocent II, born Gregorio Papareschi, was Pope from 14 February 1130 to his death in 1143. His election was controversial and the first eight years of his reign were marked by a struggle for recognition against the supporters of Antipope Anacletus II. He reached an understanding with Lothair II, Holy Roman Emperor who supported him against Anacletus and whom he crowned King of the Romans. Innocent went on to preside over the Second Lateran council. Pope Zosimus reigned from 18 March 417 to his death in 418. 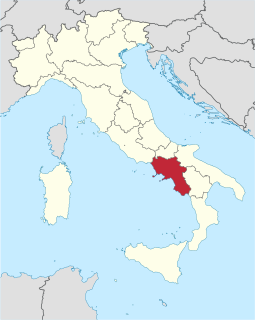 He was born in Mesoraca, Calabria. Pope Severinus was Pope two months, from 28 May until his death on 2 Aug. He became caught up in a power struggle with the Byzantine Emperor Heraclius over the ongoing Monothelite controversy. Anastasius Bibliothecarius or Anastasius the Librarian was bibliothecarius and chief archivist of the Church of Rome and also briefly an Antipope. Antipope John VIII or Antipope John was an Antipope of the Roman Catholic Church, in the year 844. On the death of Pope Gregory IV, the populace of Rome declared John, a deacon with no known links to the aristocracy as his successor. They seized the Lateran Palace and enthroned him there. However, the lay aristocracy elected as Pope the elderly, nobly born archpriest Sergius, ejected John from the Lateran, and swiftly crushed the opposition. Pope Sergius II's consecration was rushed through immediately, without waiting for imperial ratification from the Frankish court. Although some of his supporters wanted John put to death for what they considered his presumption, Sergius intervened to save his life and John was confined to a monastery. Nothing further is known about him. 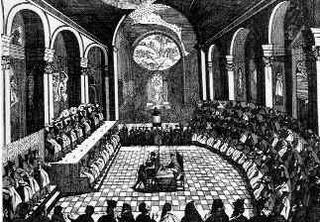 The Synod of Rome (721) was a synod held in St. Peter’s Basilica under the authority of Pope Gregory II to establish canons to improve church discipline.